As an integral part of our approach to providing support for your long-term health and wellbeing, we have recently introduced IgG Food Sensitivity Profile Testing. This simple test is done inside the clinic with no need for a referral to a specialist centre. The IgG test lets you see what foods you currently react to. The test compares the blood reaction to a variety of different food items to give you a highly personalised result and arising from it, specific recommendations. Conditions that are often linked to food reactions include Migraine, IBS, Arthritis and Eczema. At Beach House Chiropractic, Ali, Theo & Greorgia are all trained in using the leading Food Intolerance Test. 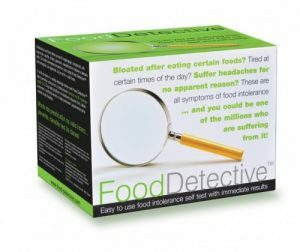 The Cambridge Food Detective IgG test is a simple procedure that can be carried out in the clinic. If you think that a food intolerance may be affecting your health please speak to your Chiropractor on your next visit and book in for an IgG Test. The test costs £66.